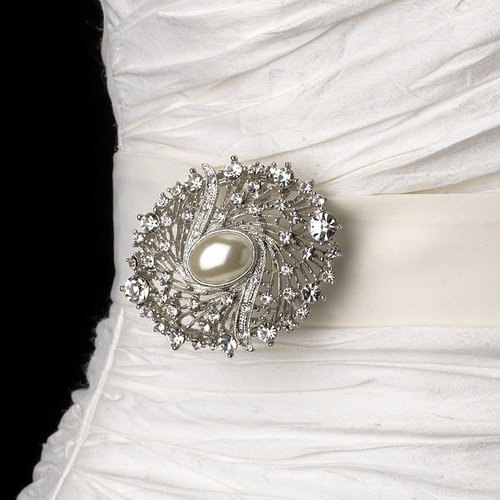 The center of this brooch is a large ivory faux pearl, wrapped in silver plating and accented by glittering rhinestones. 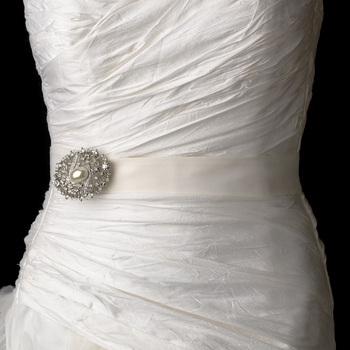 Pin it on a belt to give that special touch of elegance. Brooch Size: 2.375" x 1.875"